Sleeping Samurai entertains with cool and historical boffer weapons. Learn how to make your own and how to battle. 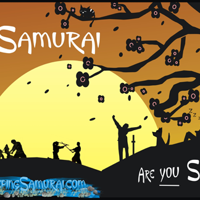 Sleeping Samurai is a company dedicated to bringing a Unique, High Quality, Dependable and Respectful Interactive Entertainment Experience to events and attendees throughout the US!